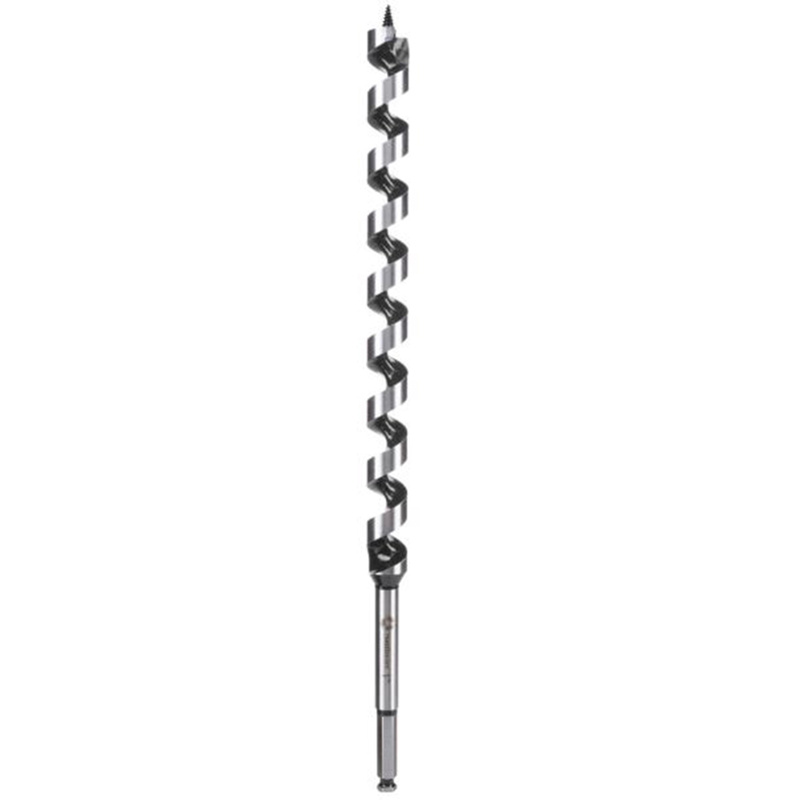 Southwire Maxis® Heavy-duty ship auger bit with 7/16-Inch hexagonal shank, drills clean holes through nails, wood, vinyl, plastics and heavy timber. It has flute with self-feeding screw tip to drill and remove drilled out material. It measures 18-Inch x 7/8-Inch Dia.